Over 80% of the world's ferrochrome is utilised in the production of stainless steel. In 2006 28 Mt of stainless steel were produced.Stainless steel depends on chromium for its appearance and its resistance to corrosion. We are engaged in offering our clients a wide range of Ferro Chorome. These are highly in demand in the market. Further these can be availed at pocket friendly prices. 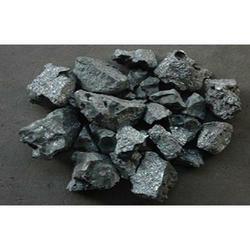 We are offering Ferro Chrome, is an alloy of chromium and iron containing between 50% and 70% chromium. It is produced by electric arc melting of chromite, an iron magnesium chromium oxide and the most important chromium ore. These can be availed at industrial leading price. 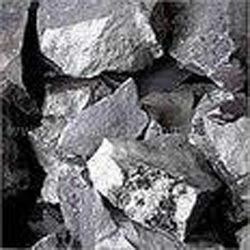 Ferro Chrome Lumps are extensively used in the manufacture of superior alloys and Stainless Steel. In fact, it is the addition of chromium which gives essential characteristics to steel such as resistance to heat and corrosion. Our Ferro Chrome Lump is a strong carbide forming element. It is an important alloying element in tool and die steels including high speed steel. Used in the steel industry, our products features specific characteristics like durability and high strength. Available in any specific quality required by our clients, it is offered at industry leading price. Our company deals in a comprehensive range of Ferro Chrome. These are widely used for manufacturing stainless and special steel. Our high quality metal alloys, prepared under the supervision of expert professionals, are assured of precise composition and purity. Manufactured using premium grade raw materials.